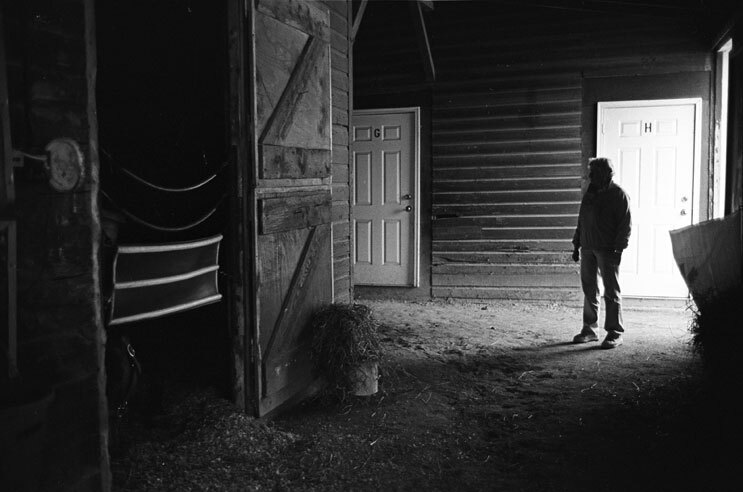 Melissa Shook came to Boston from New York in 1974 to teach photography at MIT. She soon discovered Suffolk Downs. 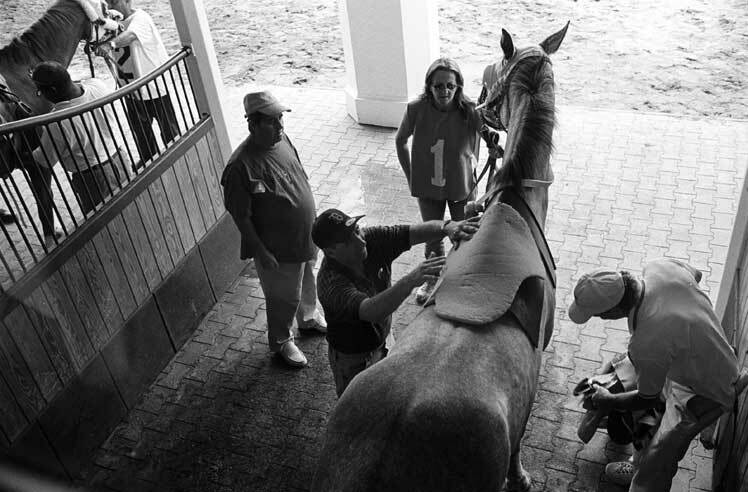 Though she did not bet, she felt comfortable at the track, enjoying the sounds, the crowd and the people who worked with the horses. 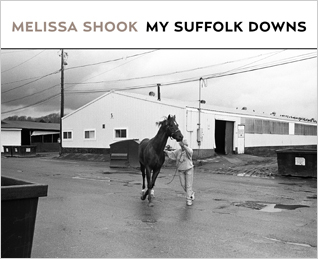 Over the next thirty years she documented her Suffolk Downs in photographs and poems concentrating on the trainers, hot walkers, exercise riders, horse shoers, dentists, those who delivered hay, feed, and ice, and the jockeys and their agents. Suffolk Downs, located in East Boston, opened in 1935 and flourished into the 1980s. The Beatles played there, and in 1969–1970 Bill Veeck, who is in baseball’s Hall of Fame as an owner, managed the track. He wrote about his experiences in his book Thirty Tons a Day. In 1989 Suffolk Downs closed for two years. When it reopened the track came slowly back to life. 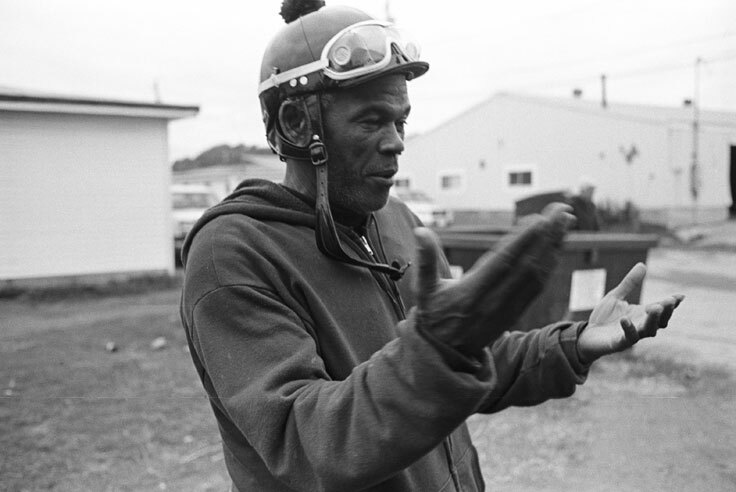 Laura Hillenbrad’s book Seabiscuit: An American Legend published in 2001 and the movie made from it, are credited with reviving interest in Suffolk Downs. See some sample spreads from the book here. About Melissa Shook. A photographer, installation artist, and writer, Melissa Shook has taught at MIT and UMass Boston. Her work is in the permanent collections of the Museum of Modern Art and Bibliotheque Nationale, and has been shown at MIT, Boston Public Library, and the DeCordova Museum. See more of her work here. The Regular Edition. 72 pages with 23 duotone photographs and 30 prose poems by Melissa Shook. 9 × 7.3 inches. The Deluxe Edition. Forty-five copies hand-bound by Sarah Creighton and signed by Melissa Shook.